The properties on the MyVegas Strip are based on MGM Resorts Properties. 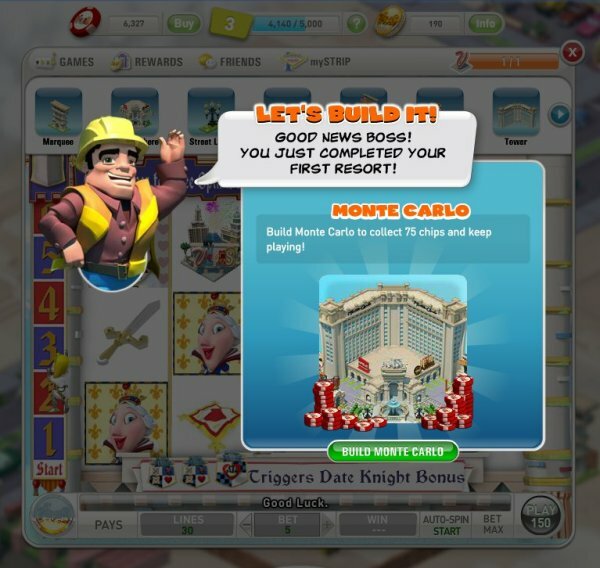 The first property you “build” is the Monte Carlo Resort. Once you build that, you can also collect chips from a wedding chapel, a helicopter tour company and a used car lot. 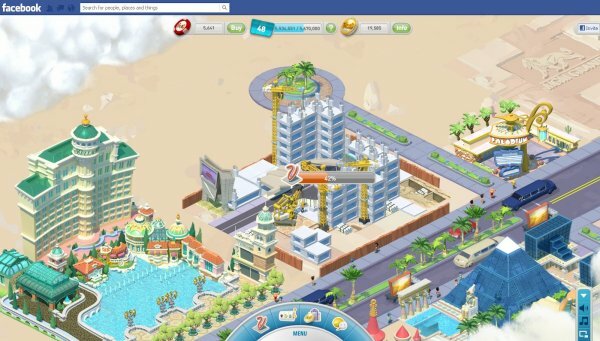 At specific intervals* you can visit your MyVegas Strip, and collect chips from these locations, as well as any Resort Properties you’ve built. * There are (supposed to be) specific time intervals between when you can collect chips at your completed MyVegas Resort Casinos… but frankly, I find the clock function doesn’t work very well… if you go and play a game for an hour, more MyVegas time, may have elapsed… so you can sometimes collect more frequently than you are supposed to be able to. (Time does fly, in virtual Las Vegas) However, the higher the chip bonus, the longer you do have to wait.